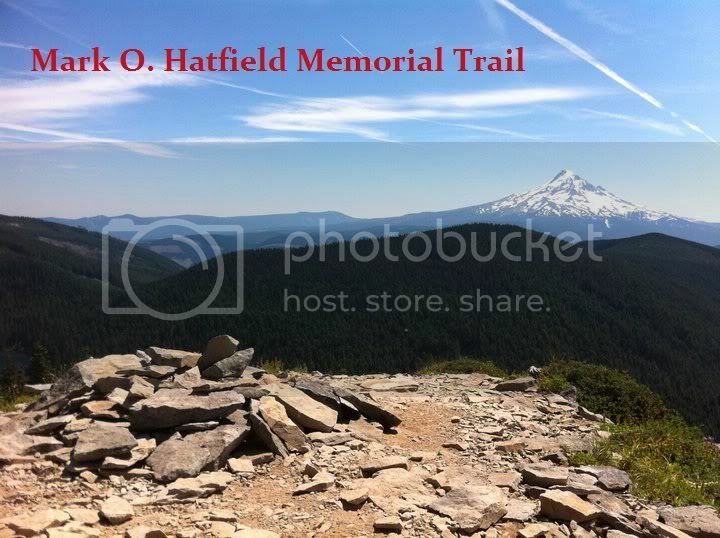 This thread is intended as a continuing forum for our collective efforts to bring the proposed Mark O. Hatfield Memorial Trail to reality. Today, the trail is in concept, only, and consists of series of existing trails that transect the Columbia River Gorge from Multnomah Falls to Starvation Falls (though other variations are possible). Along the way, the route passes through some of the most remote and rugged country in Oregon, yet is surprisingly close to the Portland metropolitan area. The west trailhead at Multnomah Falls is just 30 miles from downtown Portland, and the eastern terminus only 55 miles from downtown. These unique aspects make the Hatfield Trail one of the most accessible backcountry treks in the country. In the meantime, the current route shown on the map (below) is the focus of efforts to promote the concept, and gradually improve the trails along this route. Over time, I'll also be improving the quality of the "official" map to reflect conditions and tips that are posted here, so you can help me by chiming in with your experiences! - Construction of a completely new trail section traversing the upper Eagle Creek canyon, just inside the Bull Run administrative unit"
Who do we best contact to discuss these items? There are really just a few bad spots that need to be restored, such as Big Cedar and near the Eagle Creek crossing (my bridge there won't last a year a best). Why is Bull Run off-limits anyway? At Hetch-Hetchy you can camp right alongside the reservoir. Tom, I love the idea, but why does it start at Multnomah Falls? You could add more distance and more "gorge" by starting at Angel's Rest TH. Does it have something to do with distances between campsites? Or is it simply that Angel's Rest isn't within the Hatfield Wilderness? (If you say vehicle break-ins, I'll totally understand). The Forest Service unit that manages the Columbia River Gorge National Scenic Area (CRGNSA) -- hit the "contact us" link at the bottom left corner of the web page. There's no harm in simply weighing in, and voicing your support. The CRGNSA staff regularly visit this forum, so will likely see this discussion, too. You've answered your own question. There is no good reason, though the concept of a new trail would actually be outside the Bull Run watershed, proper, but just inside the administrative boundary. Therefore, it should be possible under an administrative approval. After I posted the original proposal as a blog article, one of Senator Hatfield's former staff contacted me with interest in supporting the concept. One objective of this forum is to help promote the idea, which in turn, would help me promote the idea through Senator Hatfield's advocates. 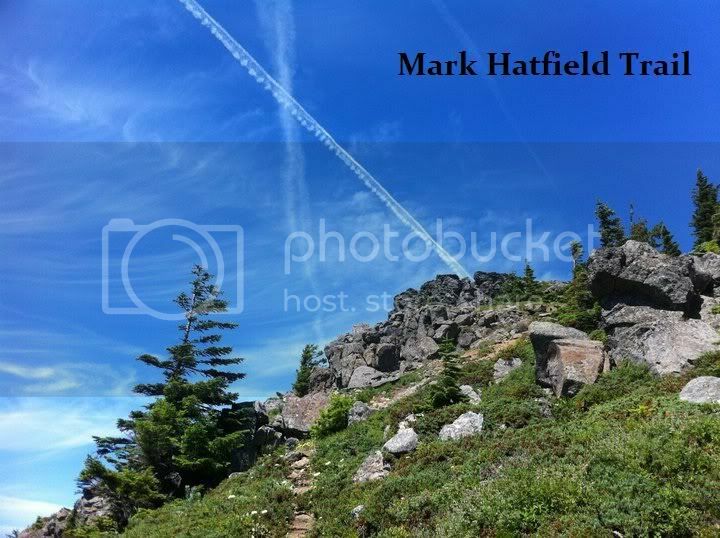 They seem very interested in the way in which this trail would fit into Mark Hatfield's legacy -- after all, he was instrumental in both the creation of the CRGNSA and the Columbia Wilderness (which is now the Mark O. Hatfield Wilderness). Thanks for chiming in, Chase! Tom, I love the idea, but why does it start at Multnomah Falls? Mostly, for the iconic character of the lodge and falls -- in my mind, this would be a world-class trail, with people traveling to the PNW with the express purpose of hiking the trail, so heading up Multnomah Creek seems like a classic way to get some major waterfall scenery in the trek (since a lot of the trip is in high country, away from the waterfalls). That's also why I ended it at Starvation Creek. Another part was logistics: both Multnomah and Starvation have plumbed restrooms, water, and places to rest/relax if you were to end a hike there (and wait for a ride). I'm not sure if Starvation still has a phone, but the lodge at Multnomah Falls does. You could add more distance and more "gorge" by starting at Angel's Rest TH. Very true, and there's no reason why that couldn't be a variation on the hike. It just doesn't have the wow-factor for a first day on the trail for someone coming from outside of Oregon, for example (e.g., huge waterfalls, old growth forest, the lodge itself at Multnomah). But you're right, locals turned off by the Multnomah Falls crowds would probably consider another trailhead, anyway. Not to get too far into that point, but one reason I'd like to see the Perdition Trail restored is that it provides a non-paved trail to the top of Multnomah, completely bypassing the tourist trail. It would be a great way to start a Hatfield circuit! Thus, another reason to bring the Perdition back to life! Does it have something to do with distances between campsites? Or is it simply that Angel's Rest isn't within the Hatfield Wilderness? Didn't think of that last part, but no, it was strictly the iconic appeal of Multnomah Falls as the kick-off. Thanks for jumping in, Jason! And you're right about the other points, too. Splintercat wrote: Tom, I love the idea, but why does it start at Multnomah Falls? Even though I may never hike this trail starting at MF, I like the idea of it starting there for the reasons Splinty stated. The Hatfield Trail may not get on the same lists of treks as Annapurna the WCT, or the Muir trails in Backpacker and the like, but a strength it has that most of the big-name trails lack is possibilities of variations. You can start or finish this hike at several points less than 8 miles from a parking lot. You can do countless variations involving spurs off to peaks or waterfalls. You can make it longer by starting at Angels Rest and bushwhacking to Michell Point at the end. So, the same way people hike the WCT and talk about how muddy it was or Muir and talk about snow levels, Hatfield hikers could talk about the variations they took and watefalls they got to admire. That's a pretty cool thing in its favor as a long distance hike. Could and should draw more people to it. Awesome! I would love to see this project get more attention, I'm definitely interested in this area and the through-hike. I would love to do this hike sometime (though I don't think I'm up to Loony paces yet) later this summer (after I warm up with a Wahtum Lake loop or two lol) - during which I could take pictures and chronicle the whole trip in detailed fashion. I don't have a nice camera, super-trail-legs or money lol but I could definitely do some great writing for the area - I just need to experience it first and have some photos for memory-jogs. Glad to see this is getting more attention! It certainly grabbed MY attention the first time I read about it (just a couple months ago).